As the number of mobile devices globally begins to exceed the number of human beings on the planet, web marketers are in constant pursuit of new ways in which to push desirable content to them. Most mobile devices are ideally equipped to handle richer forms of multimedia – such as photos and videos – meaning that traditional content strategies involving blog posts, web pages and articles are not the best way to target individuals on these devices. Whether the goal is for more shares or more engagements, providing content that matches the medium is crucial. Below, we’ll review exactly what strategies should be used in order to cultivate a video marketing plan that everyone will enjoy. Before you can even hope to create desirable videos for your audience, a strategy must be put in motion. What are the precise interests of your audience? 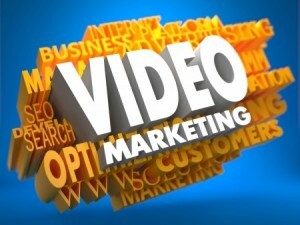 What is the overall goal of the video marketing campaign? These two questions must be answered before any video can be constructed that will be worth its weight in gold. In addition to these questions, finer details – such as which calls to action are the theme of the video – must also be hammered out. When you start pinging to Google, Facebook and other mediums your videos, it is crucial to also remember that the brand itself must be featured in a positive and concrete light. Last but not least, targeting a specific group within your audience – not necessarily the entire audience – will help make the video more relatable to select demographics. Whether it be via email, social media or in a traditional web browser, today’s internet users have a lot of entities and brands competing for their attention. Short-attention spans is the name of the game on the internet, so any video that you make should aim to be short in nature. How long is too long? This will vary from person to person, but among some of the most successful video marketing campaigns, the average length of a video is approximately two and a half minutes. If videos are made to be long, then it is easy for viewers to become disenchanted with watching the entire thing, and will miss critical parts of your messaging strategy. As such, keep it short and sweet: your audience will thank you for it. Last but definitely not least, video is a way to transmit all types of multimedia in one, easy-to-digest format. Text may seem outdated in video, but all of the most popular video marketing campaigns utilize text in their videos. While the text may not be pinging to Google like traditional SEO tactics, associating words and phrases in your video on-screen that correlate to key concepts can help improve the chance that your message will be absorbed by the audience, and that’s good news for everyone involved. Video marketing is a complex art that takes plenty of time to perfect. You can, however, smooth out the learning curve by implementing text to convey key points, keeping the videos short to ensure people see all you have to say, and by having a comprehensive video marketing strategy in place before beginning.